Krisstian de Lara, director of El Dragón, a documentary short produced by Kn2s Productions, speaks with us to talk about the film, how it became about and how it reflects the social and economic life in Ciudad Juarez, Mexico. 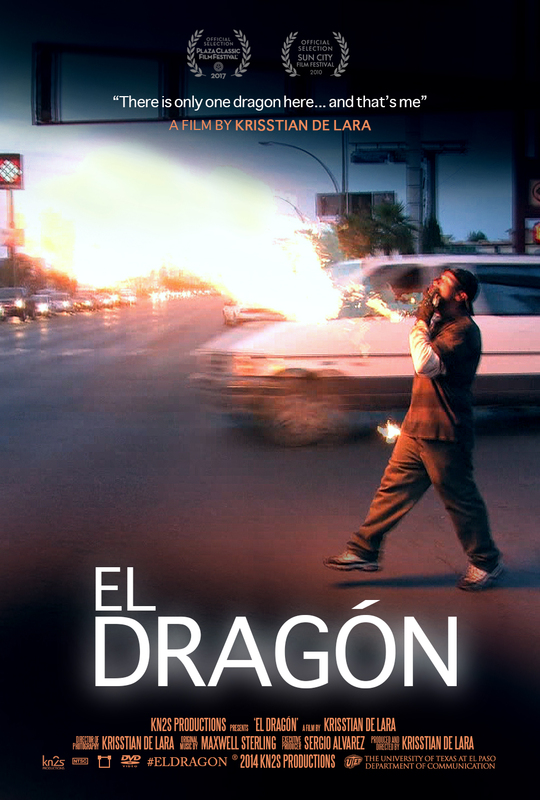 El Dragón tells the story of Jorge, a fire breather making a living working on the dangerous streets of Juarez. 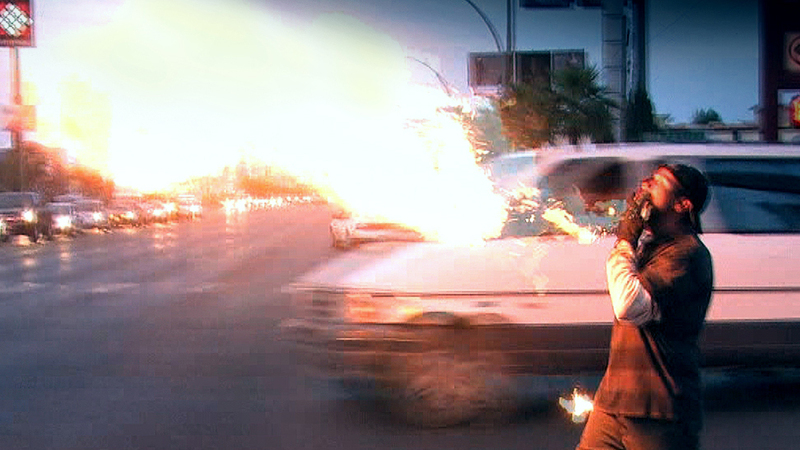 Krisstian filmed the documentary following along an ordinary work day for Jorge, dodging cars through heavy traffic and capturing the fire breather’s astonishing street performances. 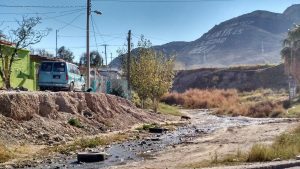 In this online interview, Krisstian goes into detail about getting lucky when he found Jorge, when he knew he struck gold, and the socioeconomic life of Juarez and its impact in a larger scale. Thank you Krisstian for joining us today for this online Kn2s Productions interview. De Lara: Thank you for having me. How did you find such charismatic personality like Jorge to make this documentary? De Lara: I believe finding Jorge was a matter of luck… and I got lucky. The idea sparked several weeks before filming as I remember seeing fire breathers while driving through town and wondered what would it be like to make a living out of that. The day I planned to shoot, I remember very clearly it was a Thursday, I only had one day to film because I had limited access to the camera, so it had to work. There was no other option. Jorge was technically the first fire breather I saw after a short drive. I asked him if I could shadow him throughout the day, and as charismatic as he is, he said yes with a big smile. I’ll be forever grateful. The craziest thing about all of this, is that I haven’t seen Jorge or any other fire breather for that matter, ever again. Therefore, I’m a firm believer that things happen with the right people at the right time. What was it like to shoot this film? De Lara: When I started filming the documentary I was not sure what I was going to get. Nonetheless, after Jorge’s first spit of fire, I was in shock! I was so mesmerized by his talent that at that moment I thought to myself, this is golden. Every minute thereafter, I devoted all of my energy and storytelling skills to capture this short moment in his life and asked questions to get to know him in more depth. His personality was refreshing and it shined through the lens. What does a hard working person like Jorge tells us about Juarez and its socioeconomic life? De Lara: Jorge mentioned in the film that he had health issues that has landed him in the hospital due as a consequence of spitting diesel through the years. When I asked him if he has ever contemplated alternative ways of making a living, I was implying drug dealing, mainly because drug cartels target low-income uneducated individuals such as Jorge. However, Jorge looked at me and nodded with a strong “no.” That’s the spirit of Juarenses, people who want to work and make an honest living. Like Jorge, there’s many Mexicans who want to see their country better and they know it starts with themselves. Despite the fact that Jorge is an elementary dropout, he has the values we wish many people with education or power should have, and that admirable. Lastly, what are your thoughts about El Dragón‘s movie poster? De Lara: El Dragón‘s movie poster embraces Jorge’s life in these three key components: movement, traffic, and fire. His need to move across the city to make a living is represented by movement. Dodging cars that zoom terrifyingly close to him on a daily basis is portrayed by traffic. Spitting his life away with diesel for a few pesos is symbolized in fire. That’s the spirit of not only Jorge’s but of many Juarenses that take pride in laboring an honest living. Thank you Krisstian for taking the time for this quick interview with us. 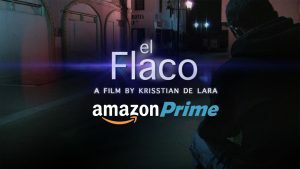 De Lara: Thank you, I’m looking forward to the premiere this August at Plaza Classic Film Festival. Krisstian concludes the interview inviting the border community of El Paso, Texas and Juarez, Mexico to watch El Dragón on the big screen this Saturday, August 18th, 2017 at Plaza Classic Film Festival under the Local Flavor showcase at 333 N. Oregon, Foundation Room at 8pm in El Paso, Texas. Watch the film’s trailer below or click here. Dear Krisstian!!! Congratulations!!! Very well done!! !